The ever-patriotic Mrs. E and I recently, attended a party for a friend who became an American citizen. It was quite a festive affair with caterers, bartenders and waiters. But the piéce de resistance was the professional photographer hired to document the evening. Sure, we were all on our best behaviour (mostly), smiling for the camera, eyes bright. The shots aren’t that candid. But what they are, is good. Good like only a professional can take good. Yesterday’s mail brought a slim package of her work. Our host sent a note and six matted photos in which we were featured. Wow! We rarely have party pictures (especically good ones) and looking through our stack really brought out how much fun we have with our friends. It is an elegant souvenir of a very important night. While hiring a professional is the easiest solution, you may not be in the position to pay a pro’s rates. 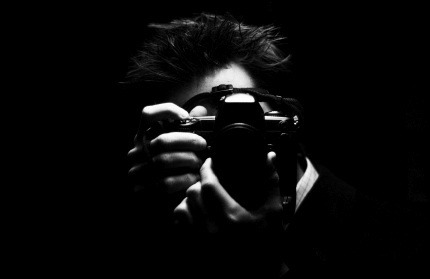 Instead, designate a friend as the official chronicler of the event or find a fellow student who is taking photography courses. Today’s digital cameras let you take hundreds of pictures, greatly increasing your chances of getting a good shot. Print them out, handwrite your note of thanks for contributing to the success of the evening and mail as soon as you can. A thoughtful keepsake is an elegant way to say thanks for the memories. This entry was posted in Entertaining and tagged Entertaining, hostess gifts, party, thank you's. Bookmark the permalink.